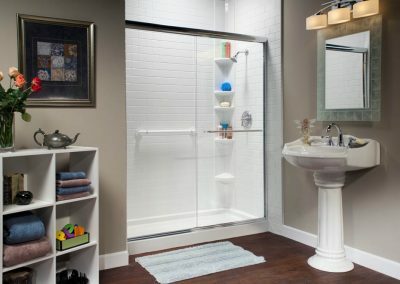 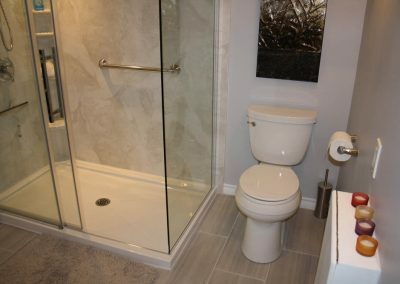 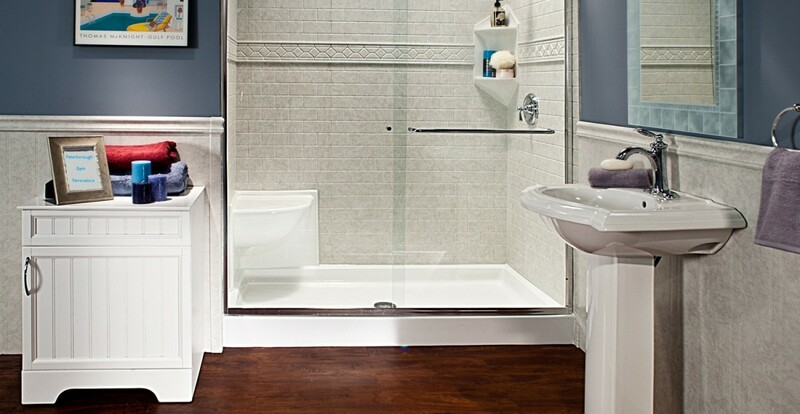 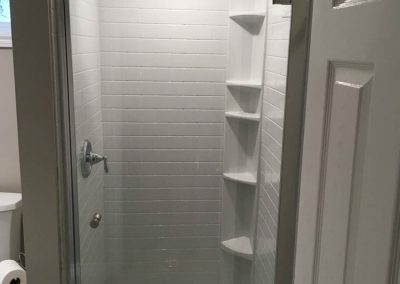 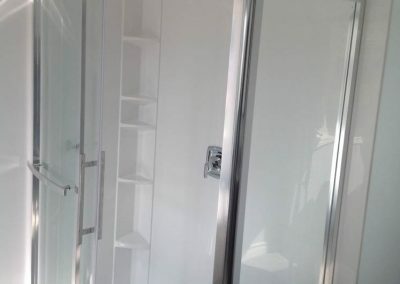 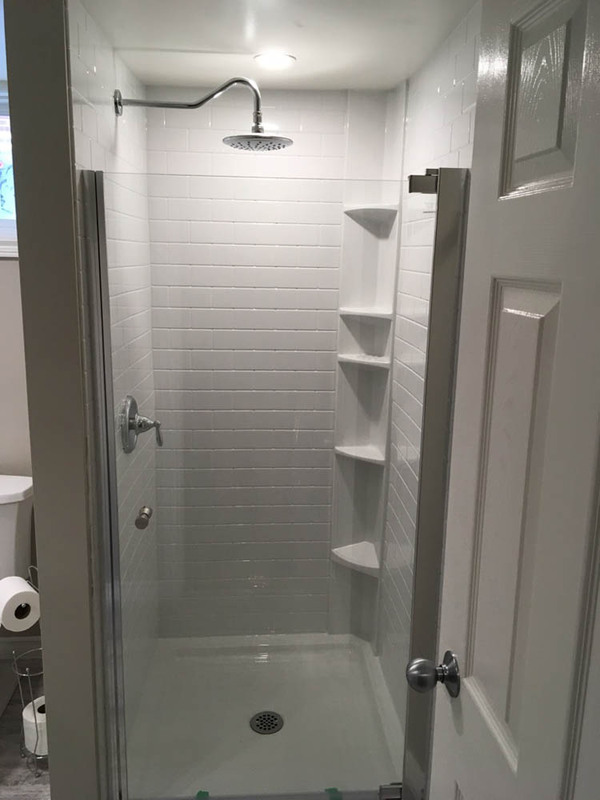 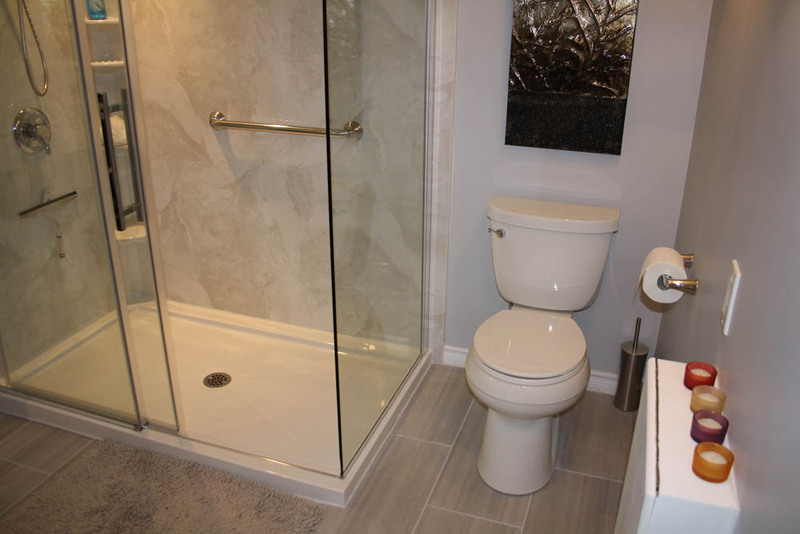 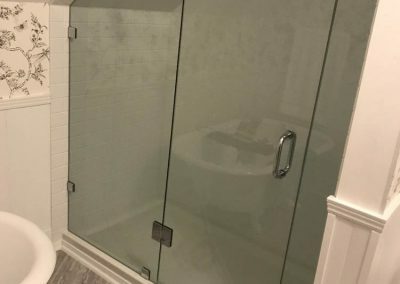 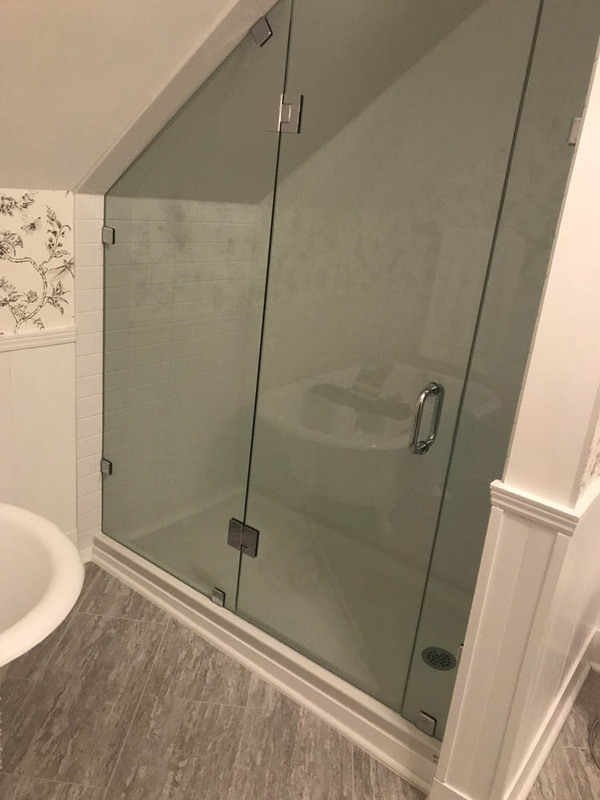 Peterborough Bath Renovators has a complete line of high-quality, affordable shower remodel solutions that can be customized to any bathroom or budget. 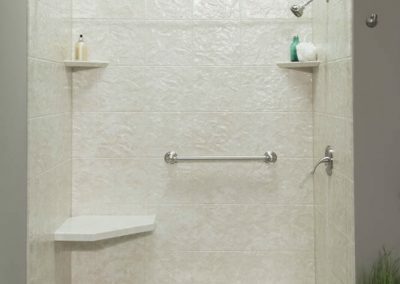 Whether you’re looking for shower liners, replacement shower bases, shower doors, tub-to-shower conversions, or shower wall surrounds, we’ve got you covered. 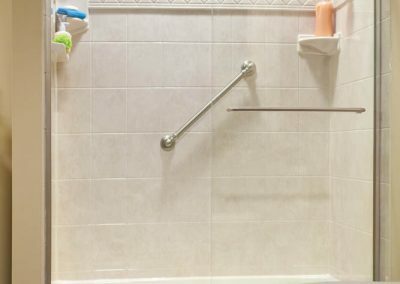 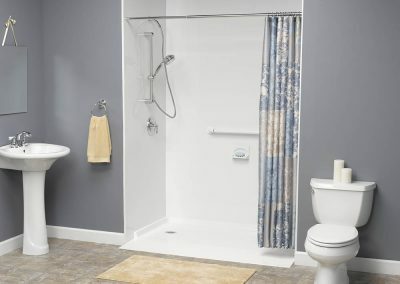 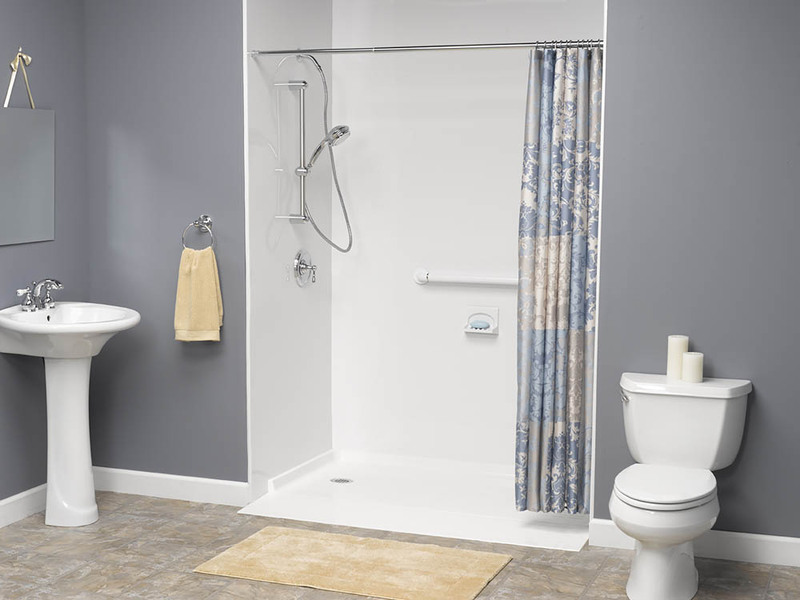 We even have a wide range of handicap accessible accessories and safety accessories to allow for a more enjoyable, independent, bathing experience. 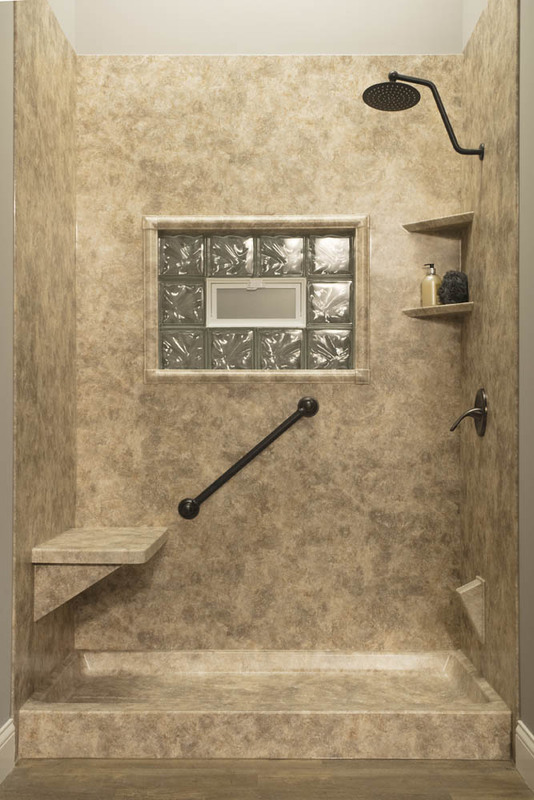 All our shower options are easy to clean and naturally resist mold and mildew. 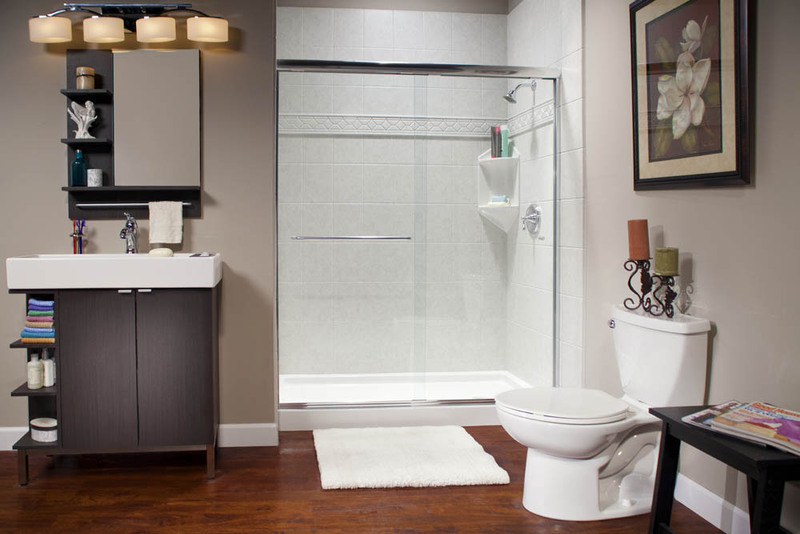 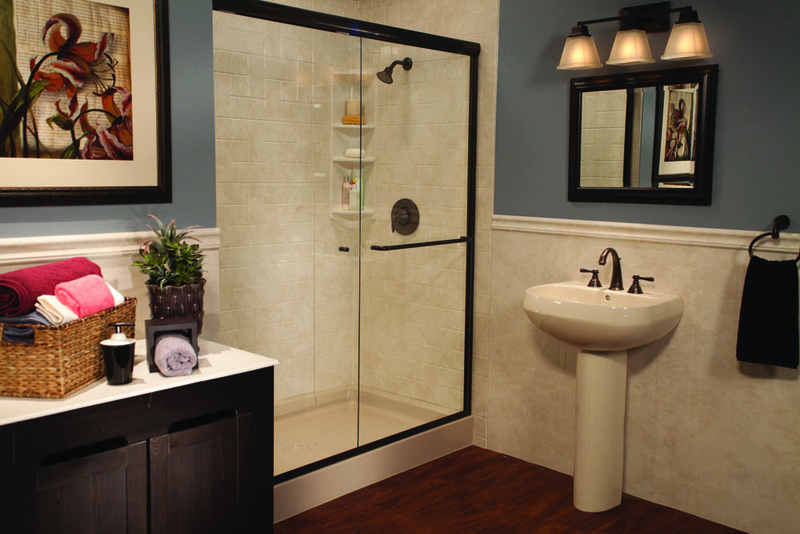 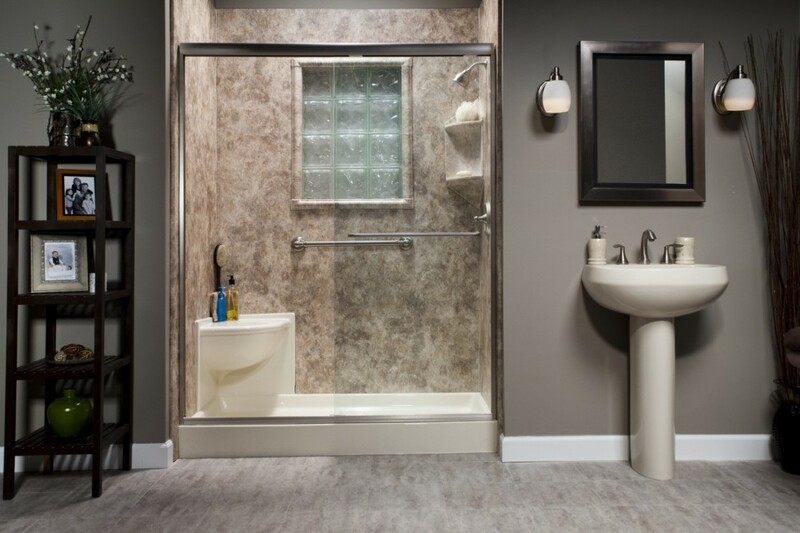 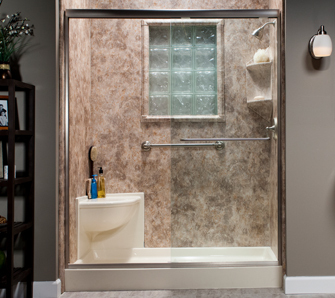 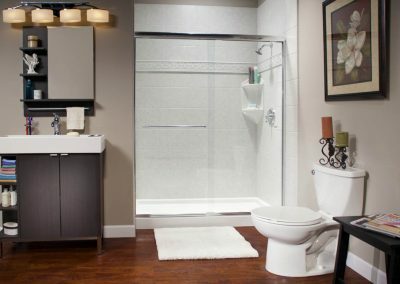 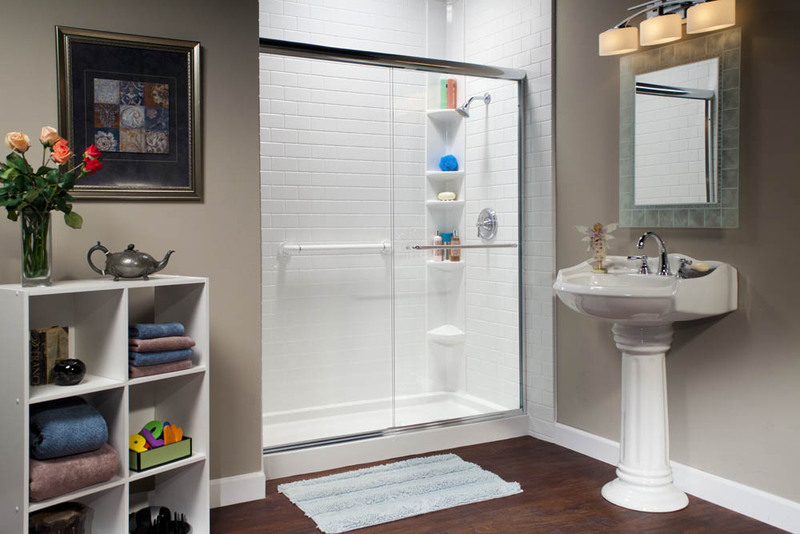 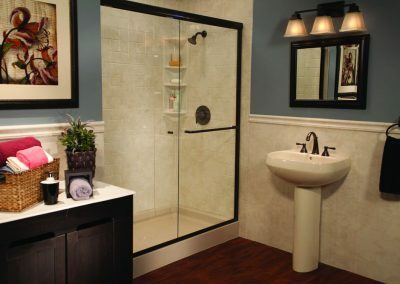 Best of all, our shower solutions can be installed in as little as one day, cutting down on lengthy shower remodeling! 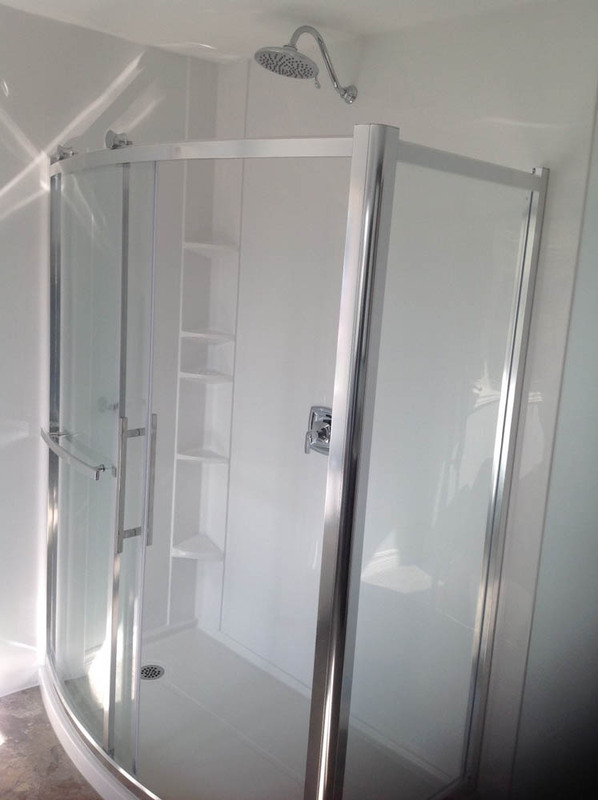 Professional installation by factory trained technicians, in as little as one day! 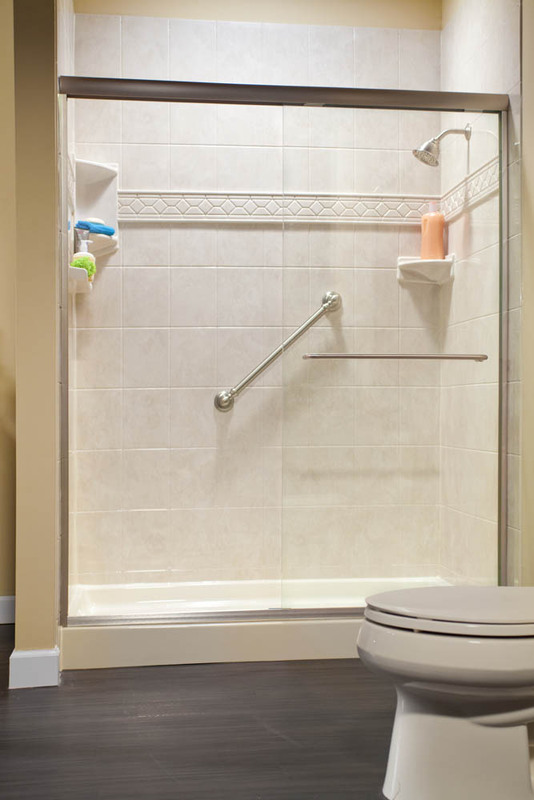 Shower liners are a great way to update the look of a bathroom without having to go through a messy tear out. 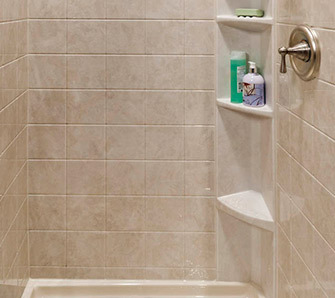 Replace that ugly, cracked shower with a replacement shower base. 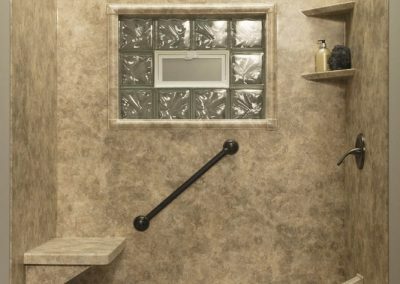 We even have shower wall surrounds for those unsightly, stained shower walls. 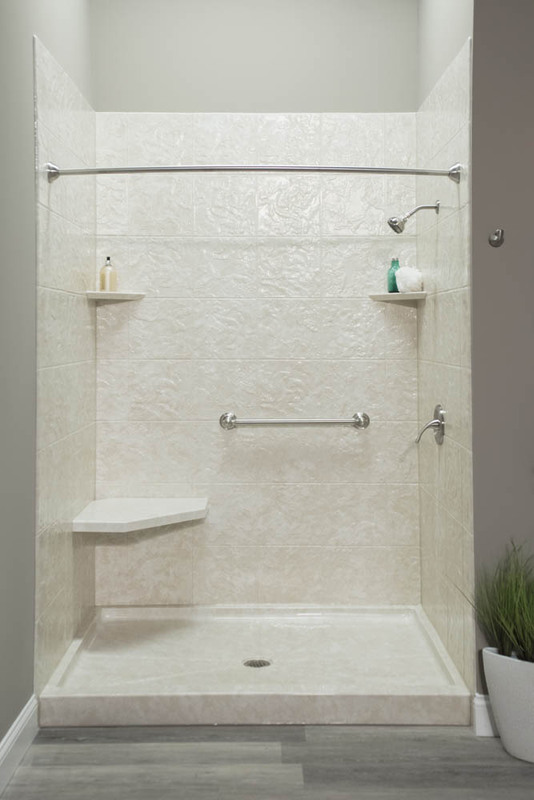 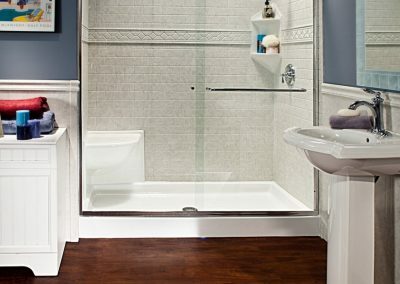 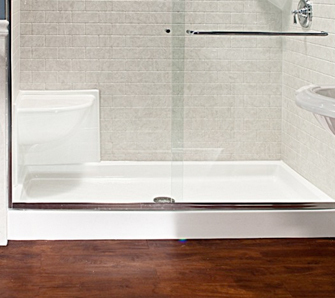 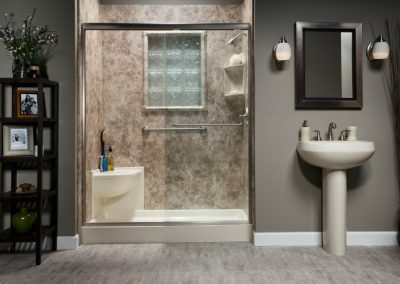 Ask about our modern tub-to-shower conversion, which replaces a traditional bathtub with a low-barrier step in shower!